As some of you might know, there is this website called “nasty gal.” I came across this website on Facebook months ago but the fact that it was called Nasty Gal kind of deterred me from actually going to the site. Then, one day I saw “CHANEL!” on their Facebook ad. Now, I’m a lover of designer things. I don’t spend all my money on them, but there are a few designers that are up there in my favourites. Chanel being one of them. 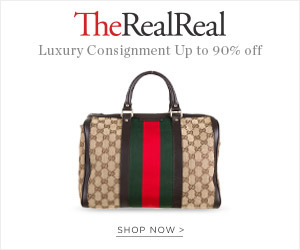 Despite the fact that I love Chanel, I saw this ad and actually got pretty mad. In my head I was thinking “Why would Chanel ever put their stuff on a site called NASTY GAL. I mean really… maybe it’s fake? Maybe they are advertising as Chanel and making the company look bad? UGH!” And to that note, I clicked on it to find that it was in fact REAL! Unfortunately, the prices reflect the fact that it is real Chanel. But I don’t even care. I will say, I am the kind of person who would much rather go out and buy one shirt that no one else has and love and wear that shirt to death, instead of having 6 shirts that I’ll wear once and 40 other people have. That being said, I am not made of money. I am only 23 (24 in 2 days for anyone who is reading this and laughing at how sad I am about it! ), and I have a fairly normal job in the city. So, I have to spend my money wisely, and when I do spend it, I better love it. Well ladies, I’ve found where my next purchase is going to be, and I’ll tell you, I’m excited! Not only is this Chanel but it’s vintage/consignment so there is only one of everything! All I can say is hurry before it’s too late! No one else is going to have it and you’ll have a conversation piece no matter where you go! So don’t let the name fool you! This is an awesome site, regardless of the Chanel aspect, and it’s definitely one of my new go to sites!